This contraption shoots propane out of about 16 nozzles arranged in a circle around a stage in the middle. 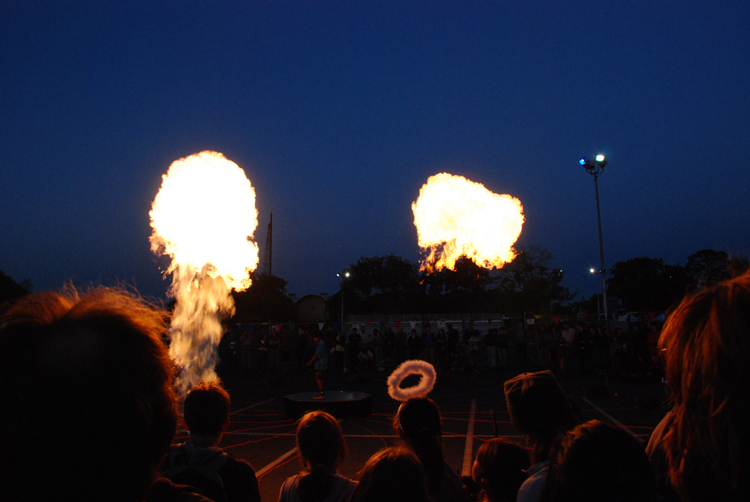 The circular stage has motion sensors around the outside edge that light off the corresponding fireball. More pictures later.